No one is sure how one mouse managed to swallow a whole potato, but this is the result-- a bloated rodent prone to falling on its back. Unwilling to pass up food, even when they're still shaped like their last meal, Spud mice raid traps in order to hoard the cheese for later. Hunters have brought home large quantities of these mice by placing their traps at the bottom of a steep hill: Spud mice inevitably lose their balance while climbing them and roll to the bottom. The Spud Mouse is attracted only to Standard Cheese and will not be attracted when hunting with Grilled Cheese. No Charms are required to attract the Spud Mouse. Hunters can encounter the Spud Mouse only in the Windmill location. The Spud Mouse drops Flawed Orbs and Packets of Flour in the Windmill location. Attraction info and special event loot drops for the Spud Mouse can be found at the individual event location pages. The Spud Mouse drops the Gnawnia Egg and Spud Egg during the annual Spring Egg Hunt. 30 June 2010: The Spud Mouse is released with the introduction of the Windmill location. 25 January 2011: The Spud Mouse began to drop Flawed Orbs as loot. 17 April 2011: The Spud Mouse began to drop the Stripy Red Egg as loot in the Windmill location as part of the Spring Egg Hunt 2011 event. 4 April 2012: The Spud Mouse began dropping a bonus Spud Egg as loot during the annual Spring Egg Hunt. 25 March 2013: The Spud Mouse began dropping a bonus Gnawnia Egg as loot during the annual Spring Egg Hunt. 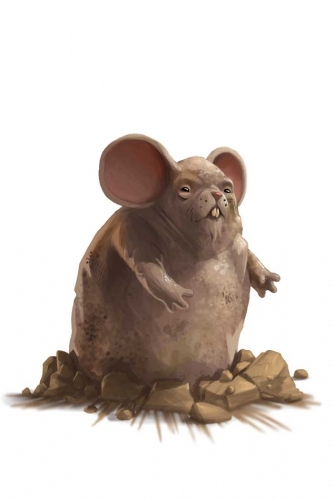 25 June 2013: The Spud Mouse gained a vulnerability to Law power type traps, with the release of Varmint Valley. 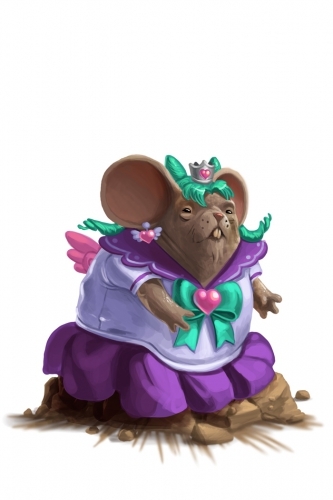 25 March 2014: The Spud Mouse gained a vulnerability to Rift power type traps, with the introduction of the Rift Plane region. 2 September 2014: The Spud Mouse began dropping Packets of Flour as loot. This page was last edited on 14 February 2018, at 05:16.